Brendan is the newest member of the Cornerstone Real Estate team. This New Englander who grew up in Massachusetts and went to college in New Hampshire was bit by the ski and snowboard bug at a young age, on skis at 3 and on a Snowboard at 7. The mountains on the East coast were just a bit too small for him so he made his way out to Rockies as quick as he could. 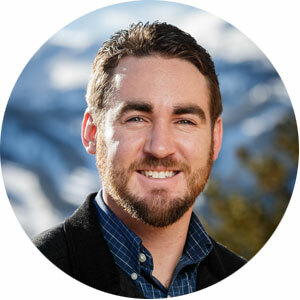 Prior to completing his Colorado Real Estate licensure and joining Cornerstone, Brendan had worked with Vail Resorts since the 2012/2013-winter season. His most recent position as a Property Manager in Keystone and his previous role as a Reservation Sales Supervisor provided him tremendous local knowledge of properties across Summit and Eagle County. This customer minded professional has the energy and excitement to help you buy or sell your dream home here in the mountains. Though he came out for the Colorado winters, the summertime is what has kept Brendan in Summit County. If he’s not down at Red Rocks amphitheater for a concert you can bet he’s playing golf at one of the beautiful golf courses located in Summit County. Brendan prides himself on his dedication and commitment to his client’s best interests. His “can-do,” attitude is attributed to his rapidly expanding network of clientele and referrals. His value of relationships is unparalleled and his friendly demeanor makes him very approachable. Whether it’s your first apartment, second home, or investment property, you can be comfortable knowing that Brendan will provide his buyers, seller, or renters an unrivaled level of care and guidance.